Marinade chicken for at least four hours. 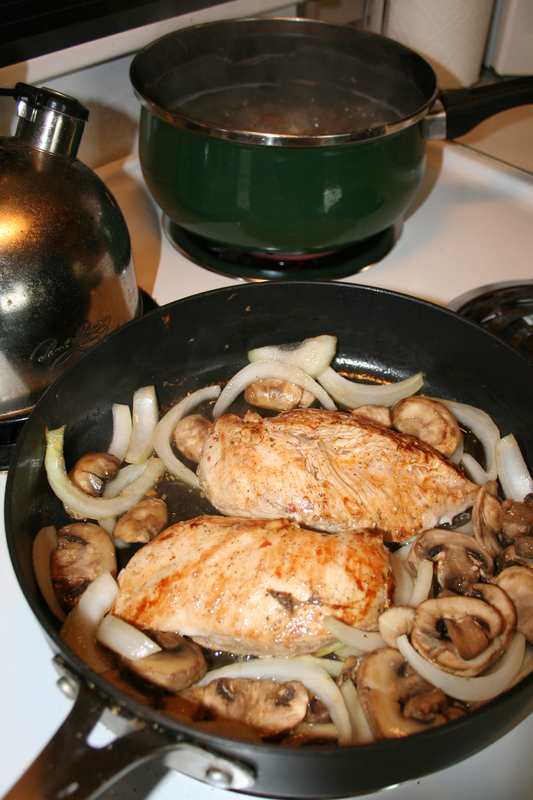 Drizzle EVOO into skillet over medium-heat and add chicken breasts. Cook for ~6 minutes on each side. Add onions and mushrooms and sautee. While chicken is cooking, add potatoes and garlic bulbs to boiling water and cook for ~20 minutes. Drain. 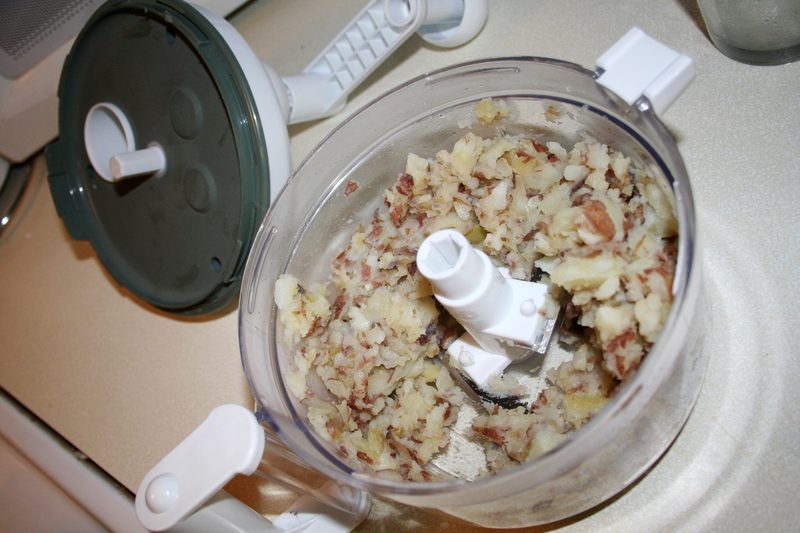 Dump hot potatoes and garlic into food mill, food processor, or similar device. Grind/puree. Return potatoes to hot pan and add cream, butter, and rosemary. 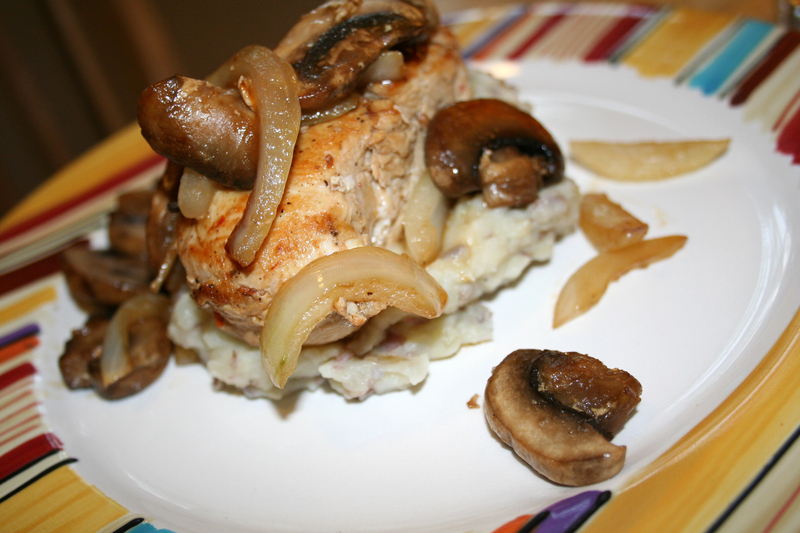 Serve hot chicken and sauteed vegetables over a hearty pile of potatoes.